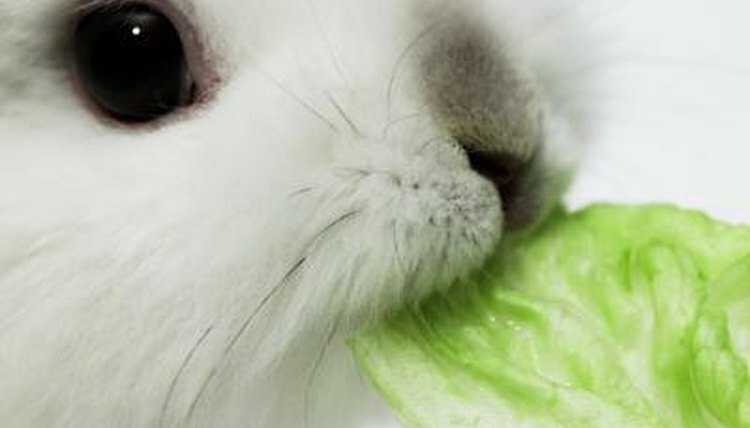 Rabbits need chew toys for physical and mental stimulation, and to naturally wear down their teeth, which are continually growing. Providing your bunny with a suitable collection of chew toys will not only ensure his continued physical and emotional well-being, but also will provide some protection for your home furnishings as well. In order to prevent boredom, provide your rabbit with chew toys in a variety of shapes, sizes and textures. Pay attention to his preferences, too. Some bunnies like to chew heartily, while others prefer to shred. Logs, twigs and sticks in these types of wood are all suitable for your rabbit: apple, ash, birch, hawthorn, hazel, juniper, maple, pear, poplar, spruce and willow. He might also enjoy berry brambles. Since your rabbit has his own personality and his own preferences, you might need to experiment a bit until you find what he enjoys most. Phenols -- the chemicals in wood that give them their lovely smell -- are poisonous to rabbits and can lead to liver disease. Types of wood high in phenols and therefore harmful to rabbits include cedar and untreated pine. Some pine chew treats have been kiln-dried to remove the majority of the phenols, but many veterinarians still recommend against them. Also avoid wood from trees that produce fruit with a pit, such as peach, avocado, apricot or cherry. Rabbits Online: Wooden Chew Toy - Safe to Ingest?